Government has announced an immediate, drastic reduction in the benchmark values against which duties paid by importers at Ghana’s ports are calculated. 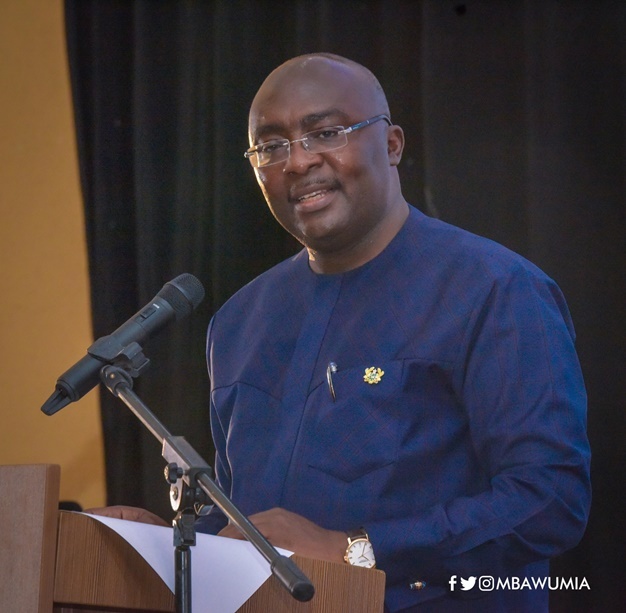 Announcing these and a raft of other measures to be implemented at Ghana’s ports on Wednesday 3rd April, 2019, the Vice President of the Republic, Dr Mahamudu Bawumia said the measures were designed to reduce the menace of smuggling and make the country’s ports more competitive and attractive. “Also, the physical examination of containers is to be reduced from over 90% to under 10% by June 2019. Customs and any other government operatives at the ports should adhere to the recommendations of the risk engine under the paperless regime… Where containers are selected by the risk engine for examination, there will be joint examination which must include National Security” he disclosed. Vice President Bawumia made the announcement at the maiden Economic Management Team (EMT) Town Hall Meeting in Accra. The Meeting, coming a day after Ghana officially exited the IMF’s Extended Credit Facility Programme, was attended by over 1000 stakeholders representing spare parts dealers, market women, trade unions, teachers, Parliamentarians and other identifiable bodies, and provided an opportunity for a frank interaction between the audience and the EMT. According to Vice President Bawumia, the measures had been taken after an extensive study of competitor ports in the West Africa subregion in particular, and similar ports across the continent. The study, he said, had revealed a worrying disadvantage for importers who choose to come to Tema. “The benchmark values applied by Customs to various commodities in the computation of import duties in Tema are much higher than in Lome, Abidjan and Dakar. In many cases, more than 100%-200% higher. “Except for Nigeria ports, the total marine charges and security fees charged at Tema for container handling far exceed those of our key competitors—3 times the charges in Lome, nearly twice the charges in Abidjan. Even more worrying, Vice President Bawumia revealed that despite the introduction of paperless processes at the ports, nearly 90% of containers that come to Tema are physically examined, while only 5% are physically examined in most modern ports. “Physical examination is a major source of corruption at the ports. Data shows that physical examination contributes less than 0.4% of additional revenue to the State. The time, unofficial facilitation fees and the energy spent in collecting this amount totally negates any gains this may have brought to government,” he bemoaned. “For importers, the choice of ports is clear. There is an increasing diversion of trade away from Tema port and smuggling of many items into Ghana is very tempting. Container import volumes into Lome port between 2013 and 2018 increased by over 300% (or 60% annually) while Ghana container import volumes into Tema increased only by 4.1% annually over the same period,” the Vice President disclosed. To address these challenges, Government is to introduce a number of measures, including the implementation of the First Port Rule in June 2019, with a strict “no duty no exit” policy for containers. Going forward, Ghana will also adopt a flat fee structure for port and customs charges for any new single window operator in line with best practices of charges at major ports globally. As well, subject to Parliamentary approval, Government will also review a number of measures on port charges to enhance the efficiency of port operations, including levies imposed by the Ghana Shippers Authority, Ghana Standards Authority, Ghana Maritime Authority and the Environmental Protection Agency. Meanwhile, a mobile app, Ghana Trade Hub, has been developed to enable importers check the status of their consignment and the import duty payable online.